This Swinging Sign Includes A 314-Piece 4” Letter Set! 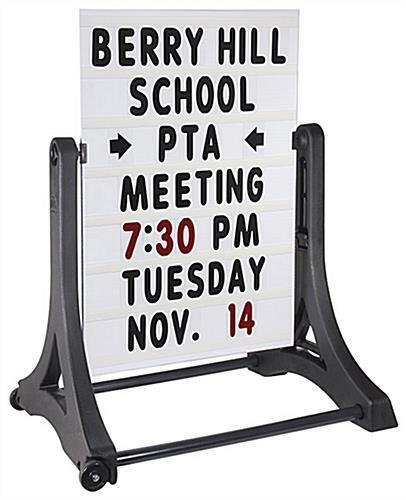 Use This Outdoor Message Board In Winds Up To 30 MPH! 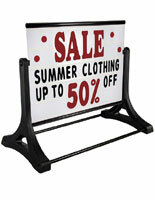 This Swinging Sign Is An Affordable Display Option! 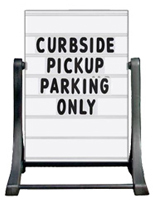 Great for attracting foot traffic into a store or restaurant. 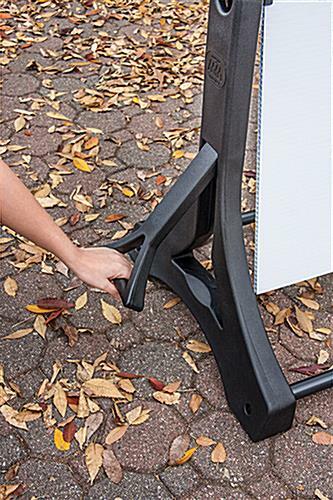 Self-storing EZ-Lift handle for no more lifting or carrying. 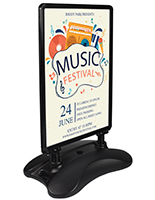 Ideal for establishments that updates specials or sales frequently. Wheels & 23" wide frame offer quick transportation. Base has reservoirs to add sand or water for stabilization. Comes with a 314-piece letter set. 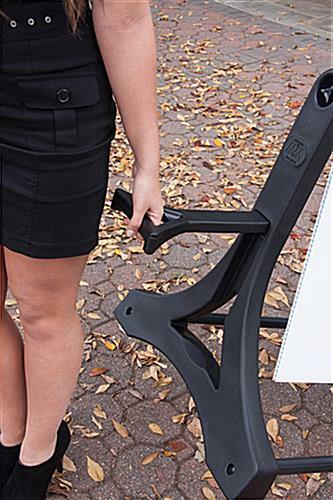 Wind-resistant design for use in winds up to 30 mph. 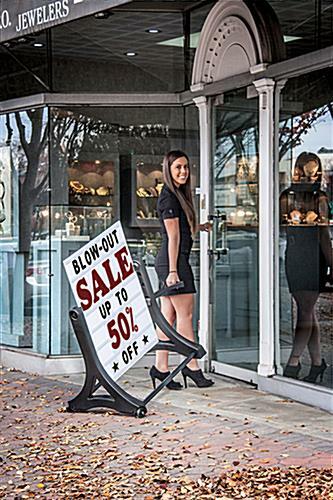 This rolling sign with built-in handle makes transportation much simpler than lifting or carrying. Simply tilt the sign and slide it on the wheels. 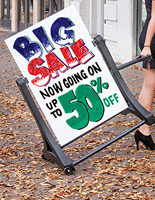 This rolling sign is only 23'' wide which can easily fit through most doors and halls. 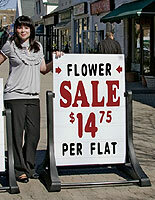 Each sidewalk display is double-sided to get maximum exposure to foot traffic. 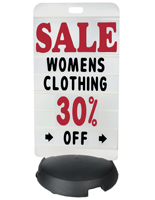 This rolling sign is water, wind and heat resistant for use in any weather or outdoor setting. The 314-piece included letter set promises that any custom message can be created.